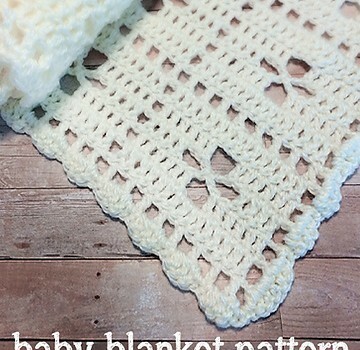 [Free Pattern] She Takes A Beautiful Mandala And Turns It Into A Stunning Blanket! Are you a Call The Midwife fan? Maybe you saw the beautiful blankets but never dreamed you’d see a pattern. I think you’ll like this Call the Midwife Inspired Baby Blanket by Little Monkeys Crochet. It is one of the stunning baby blankets on the show. One really fun thing about BBC’s television series “Call the Midwife” is its wide array of gorgeous baby blankets. It’s impossible as a crocheter to not notice them. One of them really caught my eye, and after some trial-and-error, I think I’ve managed to replicate the pattern, and I want to share it with you! Wouldn’t this make the perfect gift for a new mommy who is a fan of the show? Image source: Little Monkeys Crochet. Thanks to Little Monkeys Crochet for article inspiration and featured image. I so enjoyed making this! @[644673263:2048:Melanie], this is gorgeous! Thanks for sharing! Recently made this for a baby shower. The pattern was so easy to follow. Wow! So beautiful!! For sure the star of the baby shower ! Thanks for sharing @[100003367313746:2048:Merlyn]! I made this last year for a friend who was expecting at the time – she absolutely adored the result ❤ i love this design so much! Hi Norma, please click on the name of the pattern: “Call the Midwife Inspired Baby Blanket” to get to the pattern’s page.Hope this helps! I have done this one. This pattern is lovely and easy to make. I’ve made it quite a few times now, and have solved the issue of extra boxes in the edging!